Nicotine Odor Removal is perhaps one of the hardest odors to remove. Following the proper steps in odor removal could save thousands of dollars. 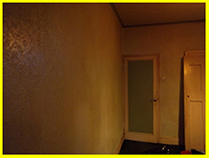 Painting walls & removing carpet are a few of the steps that may or may not be needed but are not always the first step in the nicotine removal process. Consult a Professional before throwing your money away and do it right the first time. Negative air molecules are what cause irritable odors in the air. These negatively charged molecules are what nicotine, bacteria, viruses, VOCs, and other chemicals are made out of. 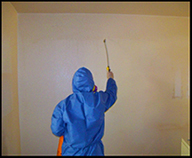 They stick onto and infultrate porous surfaces like walls, cupboards, carpets, padding, etc. Using an Ozone machine will not go deep and penetrate these materials. We use a technolgy that positively charges these negative molecules and sends them out positively charged as Hydroxyls into the air. These Hydroxyls will in turn adhere to negatively charged molecules and positviley charge them. This process is repeated in the air and filtrating porous surfaces in the contained area. 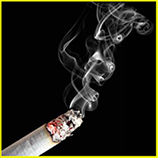 There are several more steps in removing nicotine or other negative odors. We have years of service and education removing these unwanted odors. Save yourself from the hassle and start saving money now by having us take a look at it and give you a proper estimate.